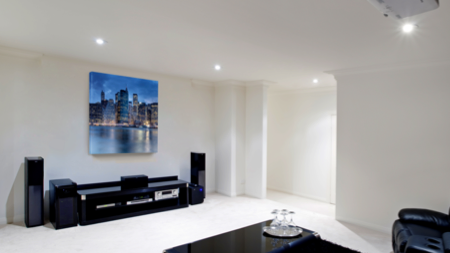 The New generation of projection screen, Made in France. Foldable screen art frame… without folds? Thanks to our patented FrenchTech mechanism unique in the world! Thanks to our patented FrenchTech mechanism unique in the world! After the fixed screens of the 1950s, the electric screens of the 60s, and the tensioned screens of the 90s, here is the new generation of screens of the 21st century: the only foldable screen art frame in the world that fold like a triptych to combine all the advantages of rollable screens, fixed or tensioned screens, abble to take 3 times less space to your wall and hiding behind your most beautiful ornamental picture! The Frame screen. 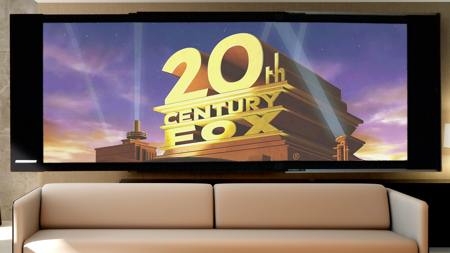 A patented innovation 100% FrenchTech made in France, since 2005. 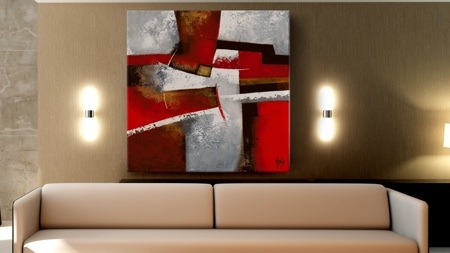 Imagine: closed, your most beautiful art board adorns your living room. 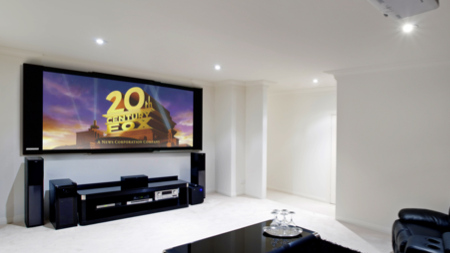 Open, a large cinema screen is deployed in triptych and allows you to project your best DVDs, TV broadcasts or video games directly in your living room. After more than 10 years of work, we have articulate our projection screens so that they can unfold and close in triptych, without ever folding the canvas even in the long term, bending it simply in its box. This patented mechanism unique in the world has allowed us to be the only screen manufacturer laureate of the FrenchTech national competition. Now, enjoy your personalised foldable screen art frame! White mat, grey, silver 3D or microperforated screen surfaces. Personalised artframes with our selection or your own photo. Our projection screens are the only in the world abble to be fold and unfold like a triptych: thanks to this made in France patented mechanism, your foldable projection screen have the advantages of a screen tensed on a fixed classic wall frame, saving place of the traditional motorized rolled up screens in the ceiling, without ever creasing even in the long term. Indeed, our mechanism in articulated triptych curves the canvas in the apparatus at each closure away from the hinges: the canvas is therefore never bent or crushed, but horizontally curved.